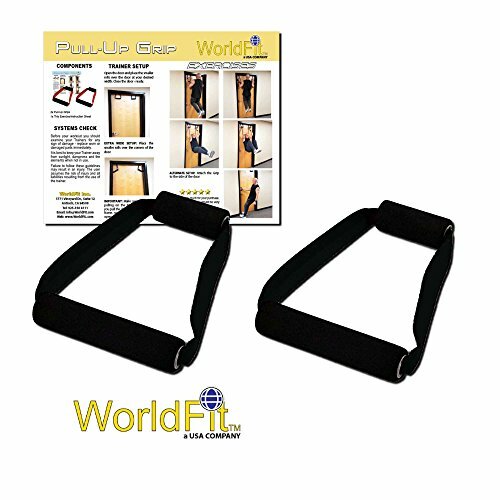 WorldFit Pull Up Grips are perfect to achieve maximum results for Total Upper Body strength and toning. Sculpt our body the simple easy way with this easy to use strength training device that sculpts your upper body. Perfect for pull ups, chin ups, biceps and triceps and abdominal exercises. No need for screws or any other hardware to install. Put them up and take them down in a matter of seconds, whenever you are ready. No need for a cumbersome pull-up bar or ab roller. Easily take it with you while travelling or on the road. Stores compact and is not bulky like a Pull-Up Bar. 100% GUARANTEE from WorldFit Inc - A USA company! If you have any questions about this product by WorldFit Inc., contact us by completing and submitting the form below. If you are looking for a specif part number, please include it with your message.